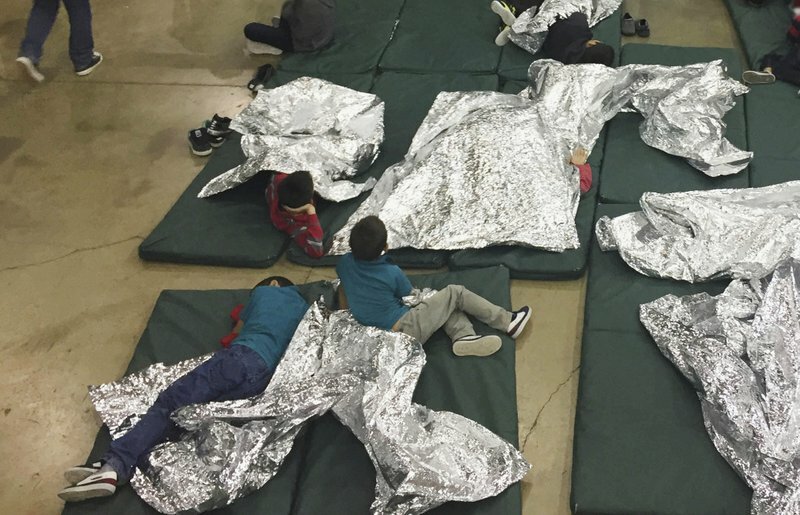 Mothers were deceived, children were torn away from their parents' arms, and finally, those same children were sent to sleep under aluminum foil blankets and locked in cage-like rooms. This was the tragic atmosphere at the U.S. Border within the last week, as immigrant children were separated from their parents. On Wednesday, June 20th, President Trump signed an executive order seemingly ending the heavily condemned and criticized practice of separating migrant families at the Southern border. Trump’s order came across as unparalleled in comparison to his recent, harsh stance towards illegal immigrants and the need to criminally charge parents along with separating them from their children. The president (assigned) his change of heart to the sight of crying children being forcibly removed from their parents' arms. However, the past few weeks have shown strong opposition to the practice from a plethora of concerned American citizens. The break of an Associated Press article and a personal protest against the Department of Homeland Security's Secretary, Kirstjen Nielsen –- while she was dining at a Mexican restaurant Tuesday evening -- could also be a factor that urged Trump to act. To fully understand the totality of the issue as it remains today, it is important to understand how families began to get separated in the first place. Last month, Attorney General Jeff Sessions called for a zero tolerance policy towards immigration. This meant that immigrants coming into the U.S. illegally would be apprehended and prosecuted as criminals. A criminal offense of illegal immigration could call for up to six months in prison. While these immigrants are apprehended, their children are separated from them since migrant children cannot be detained for more than 20 days, as a result of the 1997 Flores Agreement. In the eyes of the state, these children are also seen as unaccompanied alien minors, which further assesses their fate. The process of going before a judge, for migrant adults apprehended for illegal immigration, is a wary one that could take up to six long weeks in jail as they wait. During this period, parents are not permitted to be in contact with their children. Within the last month, 2,300 children were separated from their parents. Vox configured that "an average of 45 children are being taken from their parents each day." As of Wednesday, the figure was still climbing steadily as a flood of Central Americans continue to immigrate into the U.S., mostly illegally. What a lot of people fail to take note of is the fact that many immigrants are attempting to seek asylum from war-torn, horribly impoverished, and criminally dangerous countries. Still, as part of the zero tolerance policy, these individuals are treated as criminals entering the country illegally. At the time of separation, many parents were unaware that it would be the last time they would see their children. In fact, an executive director of Texas nonprofit organization, Tahirih Justice Center, described some cases of mothers being led to believe that their kids were taken to get bathed and cleaned. After a while, mothers who questioned the unusually long duration of the bath were told that their child was not coming back. The same executive director told Texas Monthly that "there is no one process [for separation]." Sometimes, parents were told the abrupt truth of separation and sometimes they were not given any form of explanation. Often, parents were not allowed to say goodbye to their children if they knew they were being separated. Once separated, children are placed in the care of the Department of Health and Human Services, specifically to the Office of Refugee Resettlement (ORR). In the care of ORR and HHS, children are placed in either government facilities or short-term foster care. Supposedly, the time in these facilities are meant to be part of a waiting period while ORR searches for any close relative living in the U.S. to release children into custody of. This shelter, Casa Padre, is the largest licensed childcare facility of its kind in the country. Nearly 1,500 boys 10-17 in here now. They’re supposed to sleep four to room. Nearly every room has 5. They’ve received a variance from the state because of overcrowding. Kids here get only two hours a day to be outside in fresh air. One hour of structured time. One hour of free time. The rest of the day is spent inside a former Wal Mart. In a recent story, a former employee, Antar Davidson, of an Arizona "government-contracted" facility for immigrant children commented on older kids becoming suicidal as they find no hope in their situations. Davidson told the L.A. Times that many kids and teens were watched for prior misbehavior as a reaction to being separated from their parents. The actions of the kids included attempts to run away, self-harm, screaming, and throwing furniture. 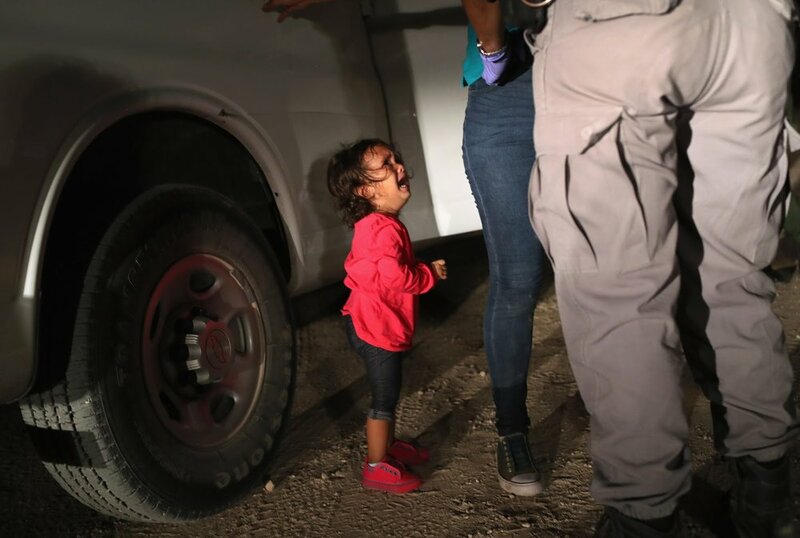 To many Americans, Wednesday morning’s news about the cease of further separation seemed like a brighter horizon to this terrible issue. However, Trump's executive order proves to be too little, too late and equally as problematic as the family separations. In the EO, Trump only mentions that families will no longer be separated. There is no explicit ordinance which suggests reunification for families who have already suffered through separation. The Trump Administration came under criticism for this and followed with a statement from the Senior Director of Communications, Brian Marriott about reunification. Trump also made it clear that the government will continue to move forward with a zero tolerance policy when handling immigration. This means that families will be detained together, as they were under the Obama administration. The difference, here, though, is that Trump's EO described this detainment as "indefinitely." 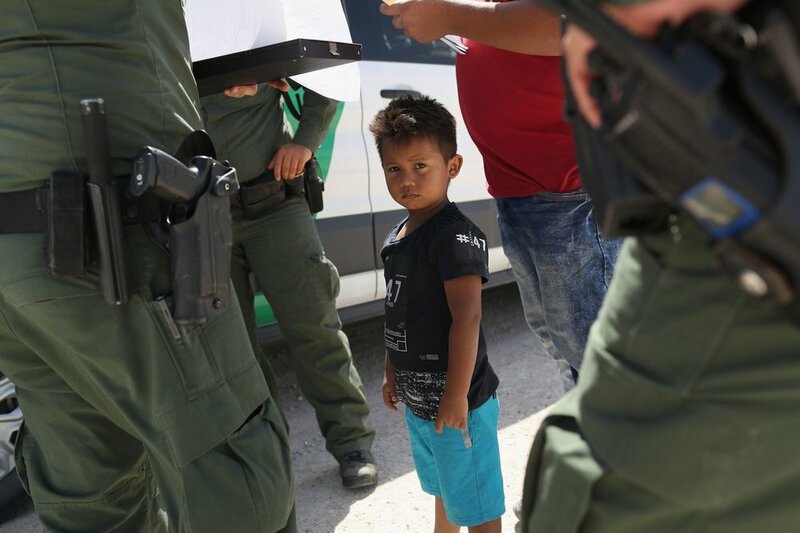 However, since the Flores Agreement forbids children to be held in government detainment for more than 20 days, the EO also asks Attorney General Sessions for a court order to change this policy, thus allowing families to be held together for however long it takes parents to be prosecuted. Trump's EO also calls to handle the surge of immigrant families by creating detention facilities on military bases. On Sunday, June 24th, a former homeland security advisor for the Trump administration, Tom Bossert, told Politico: "...that stroke of a pen does not survive three weeks before this court overrules it." This is the latest status of Trump's executive order. While Trump’s executive order seems to be the end all of the family separation issue, it is not. Not only has Bossert's comment added to its uncertainty, the order also stands as a definitive piece in the immigration issue as a whole. In Congress, Republicans and Democrats are trying to draft and pass their own bills on the overall immigration issue. The family separation issue has just been a new hurdle to cross for Republicans who aim to implement budgets for a U.S.-Mexico border wall and somehow handle the DACA Dreamers issue at well. By having the separation issue at hand, some Republicans and the Trump administration hope that incorporating an end to this issue will allow bill voters to turn lenient and concede to other issues. In response to the atrocity at the border, Democrats have drafted the Keep Families Together Act. This bill, created by California's Democrat Senator Dianne Feinstein, outlaws the practice of separating families at the border. The only exception which allows separation would be in the case that U.S. Border Patrol believes the kids are being abused by parents or trafficked by adults claiming to be their parents. All Senate Democrats have voted for the bill. While many Republicans are against family separation, they intend to create their own form of legislation. It seems this country is moving backwards. Instead of standing as a symbol for freedom and opportunity when people desire to improve their quality of life and welcome immigrants like we used to, the United States has reverted to traumatizing families who try to do so in order to deter future immigrants from following in their footsteps. If this is not the kind of country you want to live in nor the kind of country you're proud to stand with, act upon your liberty and help facilitate change. Contact your local government officials/representatives, Senators, and Congressmen at (202) 224-3121. Ask Senators to pass the Keep Families Together Act and House Representatives to pass the HELP Separated Children Act. Donate to organizations actively helping to keep families together, help children reunite with their parents, and save money so that families can immigrate legally. A few to start: ACLU, Asylum Seeker Advocacy Project, ProBar, Human Rights First, and Kids in Need of Defense. Exercise your right to peacefully protest. 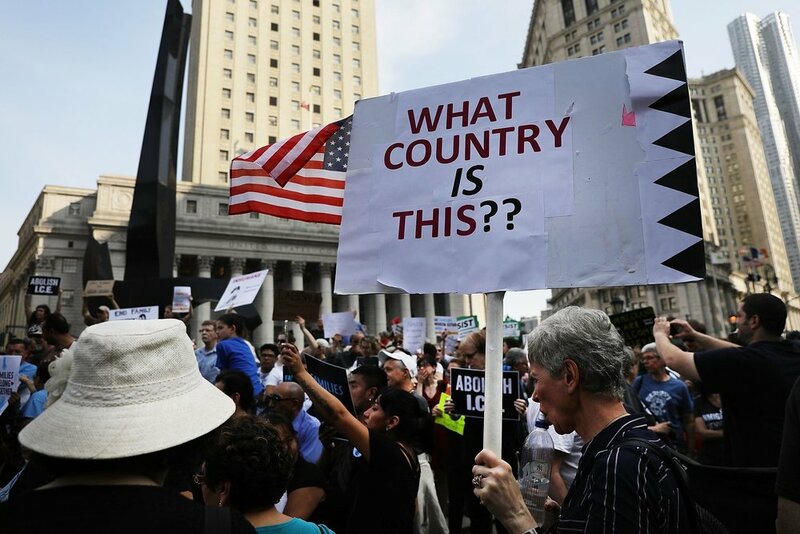 Participate in upcoming marches and protests against the Trump administration's actions towards immigration aid by letting them know that many citizens do not agree with their immigration policies.